I started reading The Hobbit by J.R.R. Tolkien (printed in 1973) and read the forward by Peter S. Beagle. It really struck home with what I have been feeling recently, and it's really very weird how it tells about how the book made him feel. I'll post the part that I'm talking about, I guarantee it's worth it to read. "...I've never thought it an accident that Tolkien's works waited more than ten years to explode into popularity almost overnight. The Sixties were no fouler a decade than the Fifties--they merely reaped the Fifties' foul harvest--but they were the years when millions of people grew aware that the industrial society had become paradoxically unlivable, incalculably immoral, and ultimately deadly. In terms of passwords, the Sixties were the time when the word progress lost its ancient holiness, and escape stopped being comically obscene. The impulse is being called reactionary now, but lovers of Middle earth want to go there. I would myself, like a shot. For in the end it is Middle-earth and its dwellers that we love, not Tolkien's considerable gifts in showing it to us. I said once that the world he charts was there long before him, and I still believe it. He is a great enough magician to tap our most common nightmares, daydreams and twilight fancies, but he never invented them either: he found them a place to live, a green alternative to each day's madness here in a poisoned world. We are raised to honor all the wrong explorers and discoverers--thieves planting flags, murderers carrying crosses. Let us at last praise the colonizers of dreams." 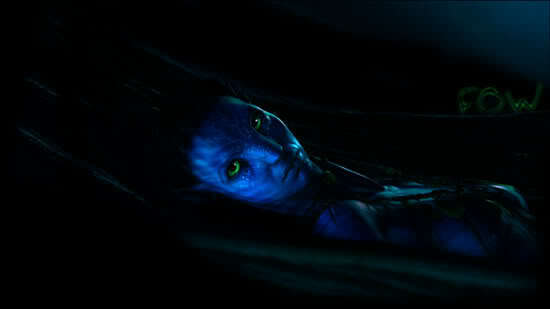 To me this is exactly what Avatar did to me. It showed me adventure, dreams, and fancies that were buried deep in me that were trying to burn their way out. Avatar poured the fuel to the flame and it welled up in me so great as to totally change my life. I'm sure many of you here can attest to that. But it is great to see that this has been not only been seen by a handful of people recently but many decades ago.